The Low Hanging Fish campaign welcomes the appointment in Geneva of Mexican Ambassador Roberto Zapata as the new Chair of the World Trade Organization (WTO)’s Negotiating Group on Rules. The UN Sustainable Development Goal n°14.6 mandates all governments “by 2020 [to] prohibit certain of fisheries subsidies which contribute to overcapacity and overfishing, eliminate subsidies that contribute to illegal, unreported and unregulated fishing and refrain from introducing new such subsidies […] should be an integral part of the WTO fisheries negotiation”. Mr. Zapata is thus charged with the difficult task of securing the implementation of SDG 14.6 and the Ministerial Decision on fisheries subsidies adopted at the 11th WTO Ministerial Conference (MC11) held in Buenos Aires in December 2017, whereby “[WTO] Members agree[d] to continue to engage constructively in the fisheries subsidies negotiations, with a view to adopting, by the Ministerial Conference in 2019, an agreement on comprehensive and effective disciplines that prohibit certain forms of fisheries subsidies that contribute to overcapacity and overfishing, and eliminate subsidies that contribute to IUU-fishing […]”. This decision was the only concrete outcome of MC11, where members failed to reach a legally-binding agreement to eliminate harmful fisheries subsidies, even for subsidies attributed to illegal fishing operations. Ambassador Zapata was Mexico’s Chief Negotiator for the Trans Pacific Partnership Agreement (TPP), which includes a set of provisions on harmful fisheries subsidies (Chapter 20.16 of the TPP Agreement). He has a solid reputation of being a talented negotiator that reaches concrete results. The Low Hanging Fish campaign now counts on Chairman Zapata’s renewed leadership to craft an environmentally and socially ambitious agreement well in advance of the next WTO Ministerial Conference in 2019. Approximately 60% of all subsidies (i.e. US$18 billion annually) are considered “harmful” and encourage fleet overcapacity, unsustainable and destructive fishing practices, as well as illegal fishing operations. In other terms, there will be no sustainable fishing for as long as nations provide the financial incentive to overfish and maintain unviable fishing operations. At last year’s WTO Ministerial conference in Buenos Aires, the Low Hanging Fish campaign and several WTO Members warned that time was running out to operationalize commitments made at the UN and the WTO. During the first UN High-Level Ocean Conference held in New York in June 2017, a Call for Action was made including “to act decisively […] including through accelerating work to complete negotiations at the WTO” (Paragraph 13(P) of the UN Ocean Conference Call for Action). It is expected that in 2020 the UN will hold, presumably in Portugal, the Second High Level UN Ocean Conference where progress on the implementation of SDG14 will be reviewed. Will this be an opportunity for the WTO to shine… or to hide? 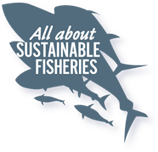 Click here and scroll down to check the Low Hanging Fish campaign’s performance table showing “who did what” on fisheries subsidies at MC11.